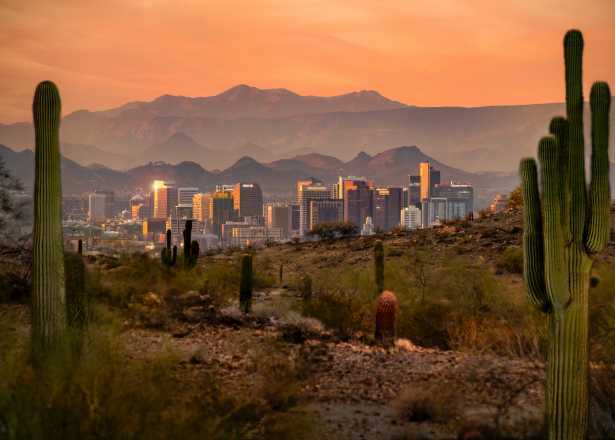 Phoenix is the heart of what we locals call the Valley of the Sun. More than 20 cities and towns comprise this bustling metro area and all have something unique to offer visitors. 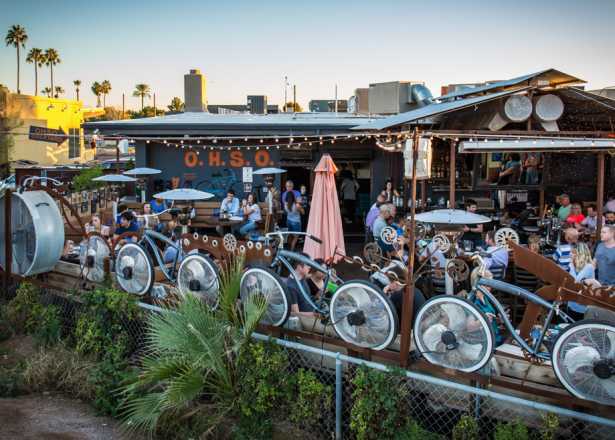 Over the coming weeks, we’ll be highlighting the can’t-miss things to do and places to eat in some of the different parts of greater Phoenix. 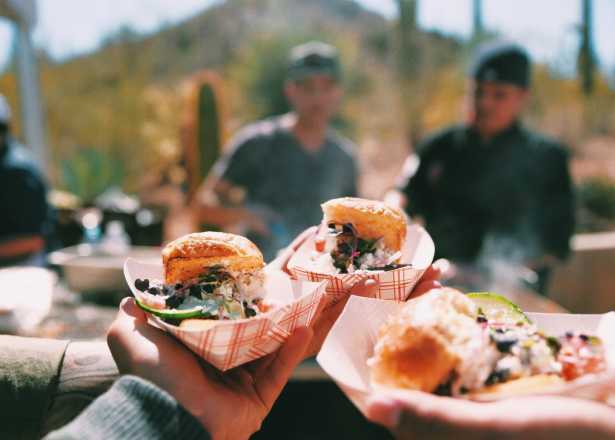 This post: Things to do in the West Valley, which includes west Phoenix, Glendale, Avondale, Litchfield Park, Peoria, Goodyear, Surprise and more. Guests have the opportunity to meet with a menagerie of furry, feathered and scaly creatures. See living dragons in Dragon World, visit newborns at the Baby Animal Nursery and get a chance to feed parrots and giraffes. The park also features an aquarium that houses sharks, colorful tropical fish, crocodiles, jellyfish and more. Love history? The Sahuaro Ranch Park is a place to step into a pioneer past. 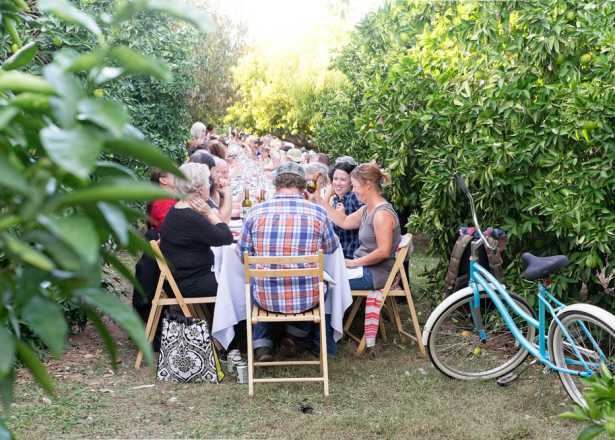 It features historic buildings, a barnyard and fruit orchards. You can tour the historic Main House Museum, built from 1891 to 1898, and learn about the history of the pioneers who lived there. 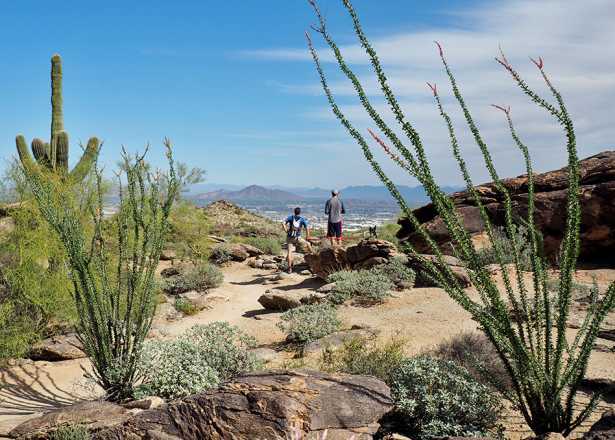 Surround yourself in the rugged beauty of the desert at the largest regional park in the county. 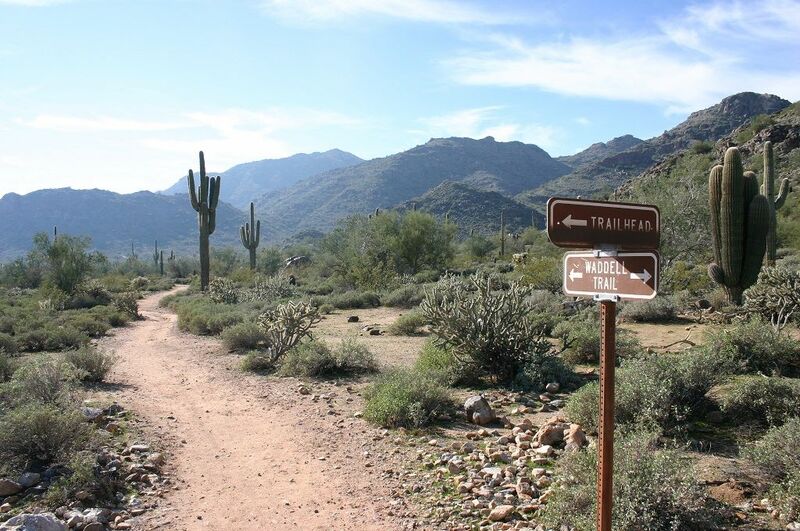 With nearly 25 miles of shared-use trails among 30,000 acres of Sonoran desert, the park is one of the area’s ideal spots for experiencing our famous terrain. Check out their event calendar for special events such as guided hikes, stargazing, snake feedings and more. Take the family for a ride on one of five routes operated by Maricopa Live Steamers. Every Sunday the park offers free train rides for visitors along their 13 miles of railroad track. Guests can also enjoy railroad artifacts and model-train layouts and browse research materials. What’s your favorite indulgence? Truffles and caramels? Or simply a one pound bar of dark chocolate? Well, at Cerreta’s Candy Factory you can find all of this and more. In addition to selling its chocolate in boxed assortments, the factory sells its creams, caramels, crunches, truffles and other candies by the piece. You can even take a guided factory tour, held Monday-Friday at 10 a.m. and 1 p.m.
You’ve seen it on TV. It’s hosted two Super Bowls. It hosts the annual Fiesta Bowl and has hosted the College Football Playoff National Championship Game. Now you can go behind the scenes and tour the facility recognized as one of the best sporting venues in the world. Public tours are available on select days throughout the year. Step back in time to more than 100 years ago, before cars filled the streets. At Pioneer Living History Museum, visitors can explore 30 historic buildings, including a blacksmith shop and a mercantile store. You can even look through a 1890s dress shop and tour a sheriff’s office. Spend your day down on the farm. 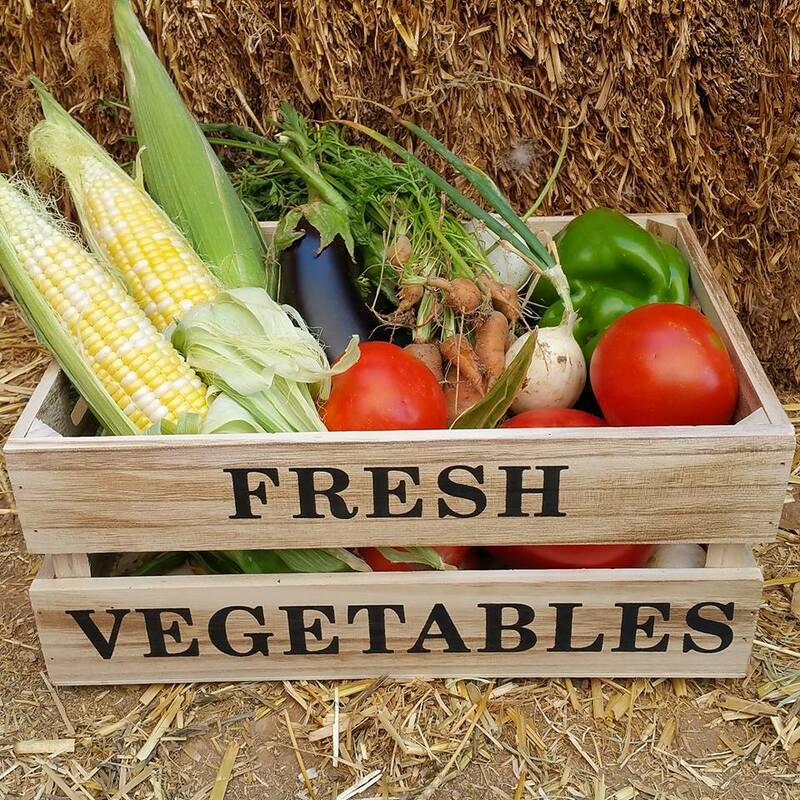 Tolmachoff Farms is a fourth generation family-operated farm that grows a selection of fruits and vegetables. The farm also puts on special events and activities throughout the year, including Family Farm Day, Pumpkin Days and a Corn Maze, a haunted corn maze for Halloween, as well as Christmas events throughout December. Check out one of the NASCAR races that make a pit stop here in March and November. If you want to see how fast you can fly on a professional raceway, book one of a variety of NASCAR racing experiences and ride shotgun while a racing instructor takes you to top speeds. With our sunny skies and perfect spring weather, it’s no wonder why Arizona is the hub of all things Spring Training. 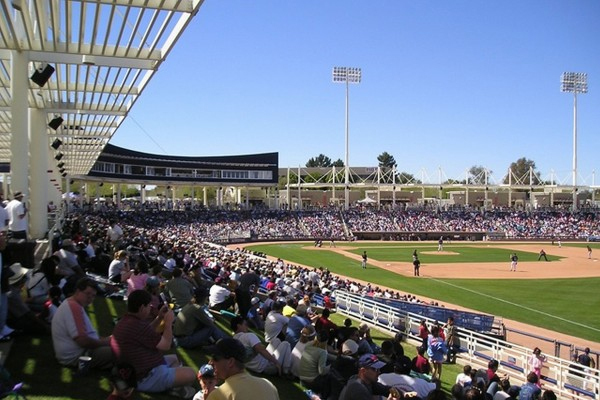 There are a total of ten stadiums throughout the Greater Phoenix that host baseball teams, five of them located in the West Valley. The Spring Training baseball schedule goes from the end of February until the end of March. Westgate Entertainment District is home to nearly 20 restaurants, AMC Theatre, free live music events, several stores and fun for families. 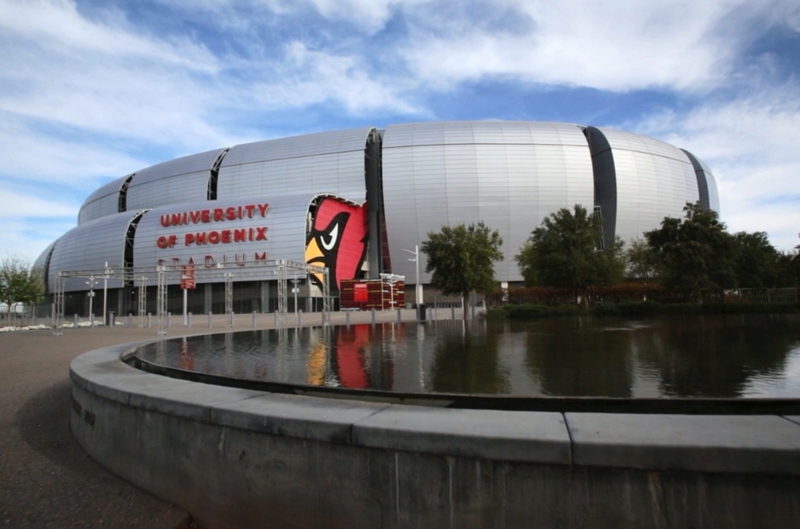 The district is also home to Gila River Arena, home to the NHL’s Arizona Coyotes and University of Phoenix Stadium, home to the NFL’s Arizona Cardinals. Catch a Broadway-style show at the this state-of-the-art theatre. Guests can take advantage of full bar and full service dining during big-name musicals such Les Misérables, The Producers and Legally Blonde. 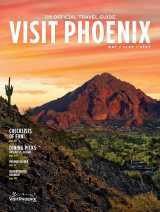 Load up your water recreation toys and head to the largest lake in the Phoenix area. 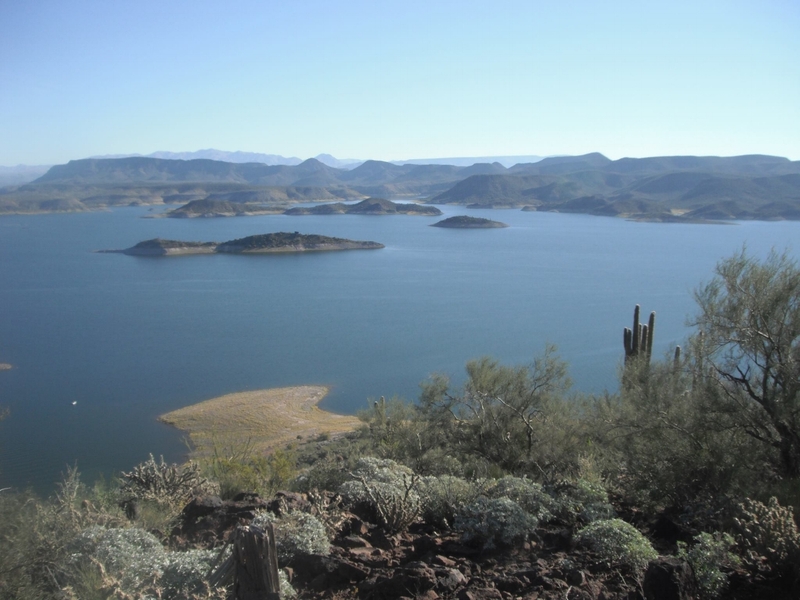 Lake Pleasant is a great place to explore various coves in a kayak, race across the water on skis, or take in the views on a sail boat. You can also take advantage of Lake Pleasant Cruises, equipped with a bar and sound system. Cool off on one of 30 water slides and attractions. 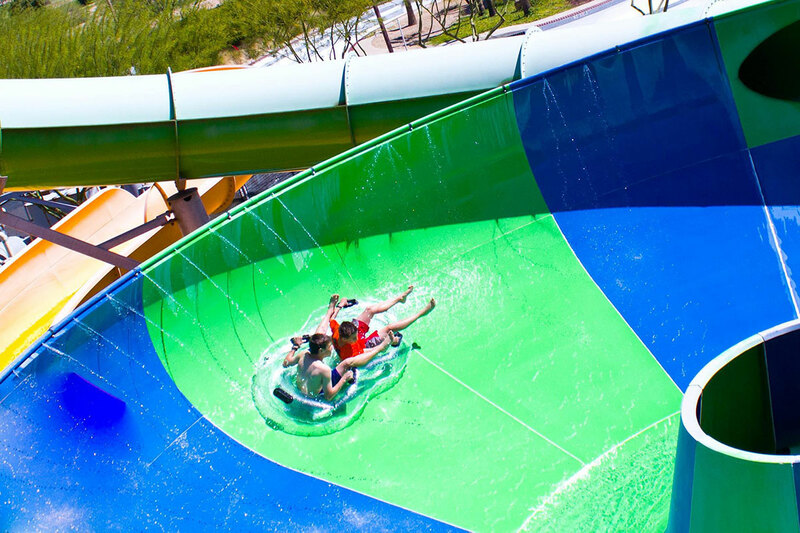 Visitors can race with friends or the family down the Maximum Velocity, featuring more than 830 feet of drops and curves, or take the little ones through the Tiny Typhoon in the park’s Wet ‘n’ Wild Jr. Check their website for seasonal hours. Indulge in retail therapy at this outdoor shopping center which has more than 50 stores such as Steve Madden, Under Armour, Chico’s Outlet, Coach and H&M. Considered one of the go-to breakfast spots in the West valley, Kiss the Cook is a favorite among locals. A quirky resemblance of your grandmother’s attic and a menu full of comfort food allow guests to take a trip down memory lane. 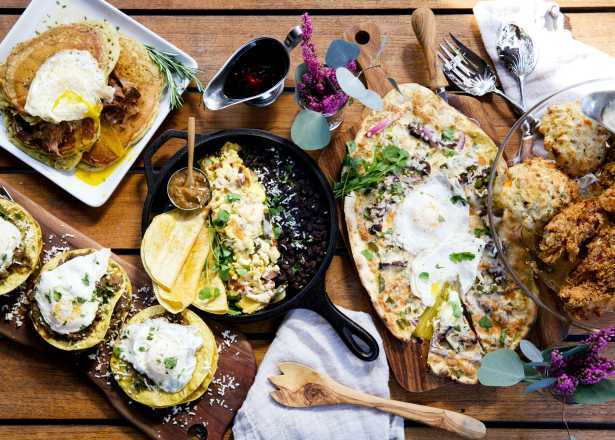 Enjoy dishes like buttermilk pancakes, biscuits and gravy, and pecan cinnamon rolls. Polka, brats, and steins of beer: Haus Murphy’s is the place to go for all things German cuisine. Among the favorites they serve up are beef and pork meatloaf, smoked pork chops over sauerkraut and apple strudel. Located in the heart of Downtown Glendale, La Piazza al Forno is serving up hand tossed-pizzas and warm conversations to its visitors. 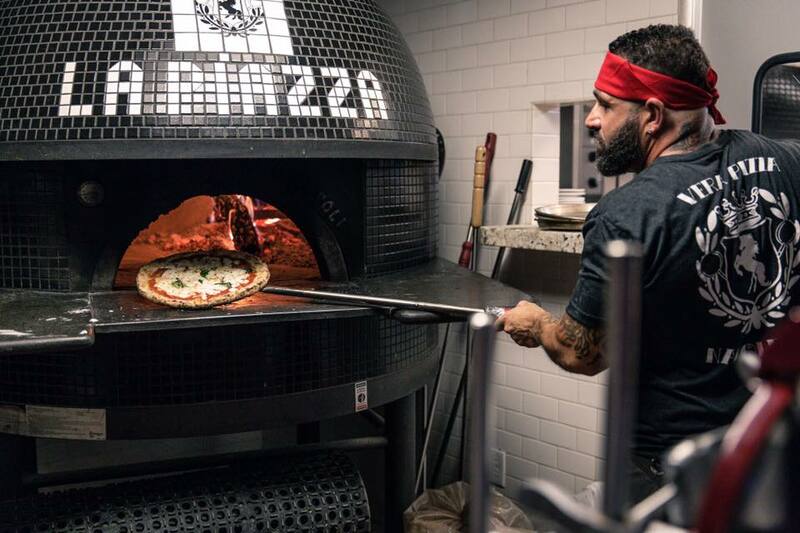 After an appearance on Food Network’s Diners, Drive-ins, and Dives, locals and people from afar are traveling to get a taste of the real-deal Neopolitan pizza. Mention Carolina’s to any local food fan and we guarantee the first thing they say is “Best tortillas in town!” It’s the restaurant’s tagline for good reason. Carolina’s has been a mainstay in the Phoenix area for decades Westsiders don’t have to travel far to taste the authentic Mexican cuisine at the Peoria location. Cucina Tagliani has been serving up Italian favorites since 1993. They have two locations in the West Valley and their Peoria one is perfect for dinner after catching a Spring Training game at nearby Peoria Sports Complex. The bayou comes to the desert at Flavors of Louisiana. 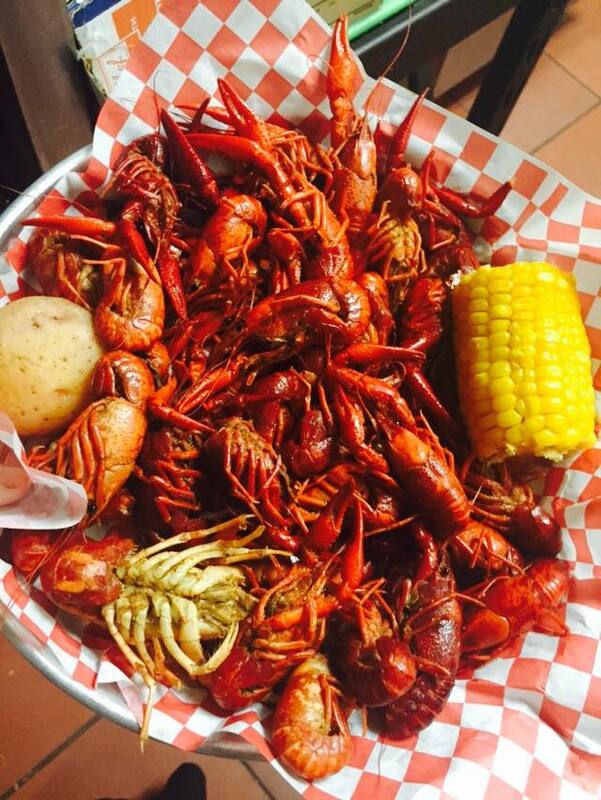 Dig into their seafood gumbo, fried green tomatoes, po-boys, and more of their cajun cuisine. At this Mexican cantina, guests can kick back with a margarita on their patio or hit the beach on their sand volleyball court. Don’t leave without trying their made-at-tableside guacamole. Majerle’s Sports Grill, a favorite of locals throughout Greater Phoenix, includes a Goodyear location in the West Valley. Come catch a game on their big screens or grab a burger and beer after a Spring Training game at Goodyear Ballpark. Indulge in French-inspired cuisine and desserts at this charming bistro. Learn how they craft their cuisine at cooking classes, and make your own delectable meal. 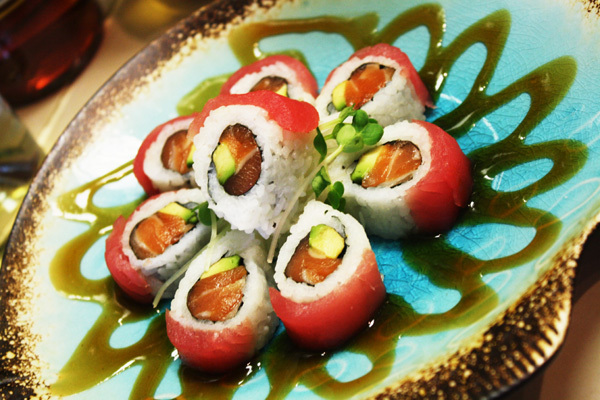 Get your chopsticks ready for sushi staples such as California and tuna rolls, and creative creations such as their Sweet Snow and Bronze Medal rolls. Get a lay of the land with our communities map and details on some of Greater Phoenix&apos;s cities and towns.